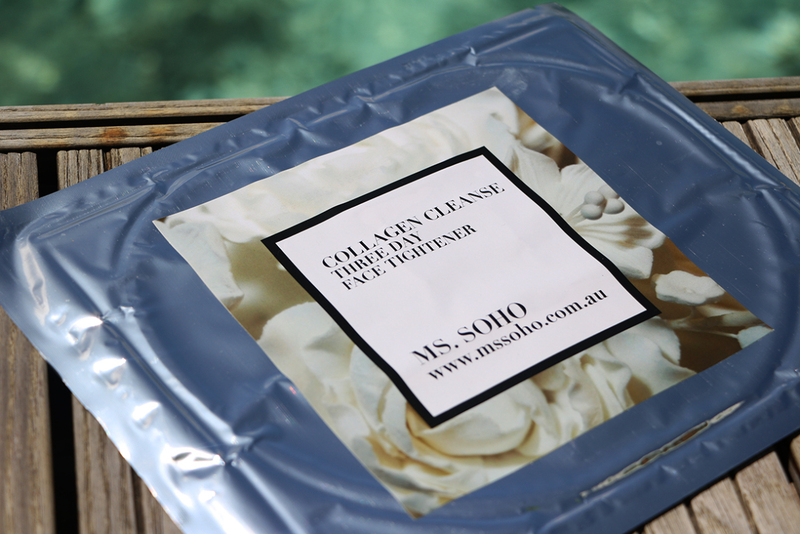 Maybe you remember my earlier review of some of the Ms. Soho beauty products? Their skin detoxification treatments are aimed for specific areas on the face, such as eyes and lips. 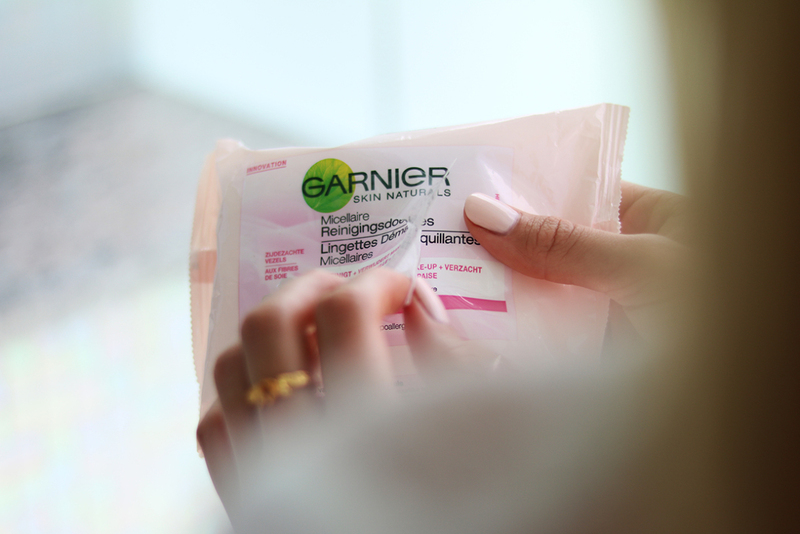 And since I really liked their products I decided to do another review on their ’Face Tightener’ masks which also belongs to their Three Day Collagen range. My skin hasn’t been too great, especially after my long flight from Amsterdam to Kandolhu Island, Maldives and ok… and indulging in way too much unhealthy foods lately. So this seemed like as good a moment as any, to try the Face Tightener. 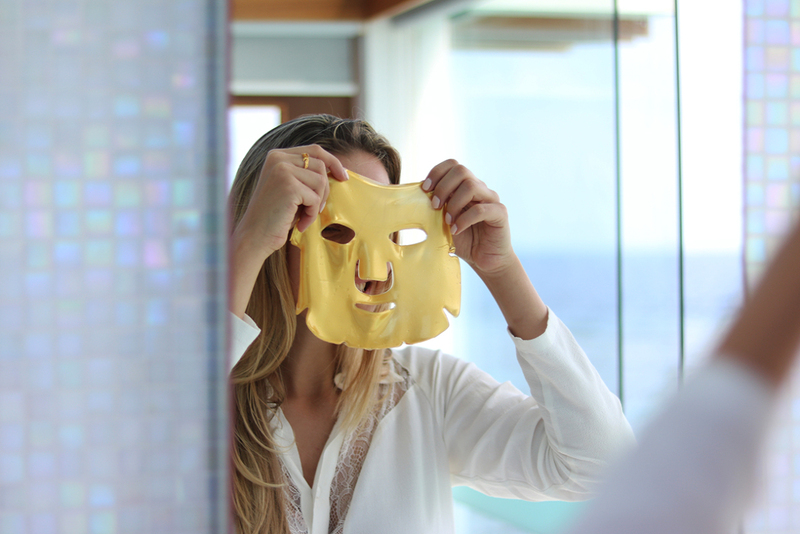 The gold face masks have a stunning texture, formulated with natural healing properties that are easily absorbed by the skin. They have a slippery, jelly-like touch and they come in a set of 3 sheets and each sheet comes in its own sealed foil packaging, retailing at $55.00 AUD. I do like these types of ’sheet’ masks as they are very easy to remove from your face. It is a little messy to get them out of the package, because the masks are floating on a liquid essence inside the tray. But once you have peeled it from the pack, you simply apply it to your thoroughly cleaned face for a good 20 -30 minutes and let the mask work its wonders. Now onto the most important part of my review: the results! My skin felt fantastic. 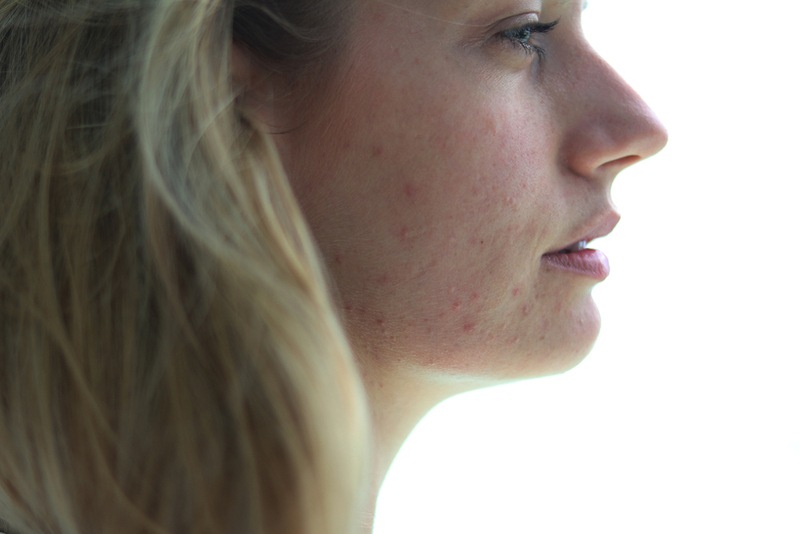 Having suffered from blemishes the past year, I was incredibly excited to see my skin so much calmer, clearer and nourished at the end of this three day treatment. I really saw a difference in my skin as it brightened my complexion and gave my skin a luminous glow. Perhaps it was also a result of the wonderful stay at Kandolhu Island, with its white sand beaches, clear blue ocean, lots of sunshine and lack of stress that helped my skin to recover. For more information about the Ms Soho beauty range, visit the website here. Disclaimer: just to be clear, this is my unbiased review. I have not been paid for this review, but I did receive the Ms Soho products. Posted in Beauty, Fashion, JewelryTagged after, before, blogger, Face tightener, Garnier Micellar water, Ms soho, results, review, Silverella, Three day Collagen cleanseBookmark the permalink. Love sheet masks. I usually use only korean masks though. Their range and prices are amazing. Wow! The result looks amazing… and the whole setting, I love your photos! What a stunning setting for your photoshoot! 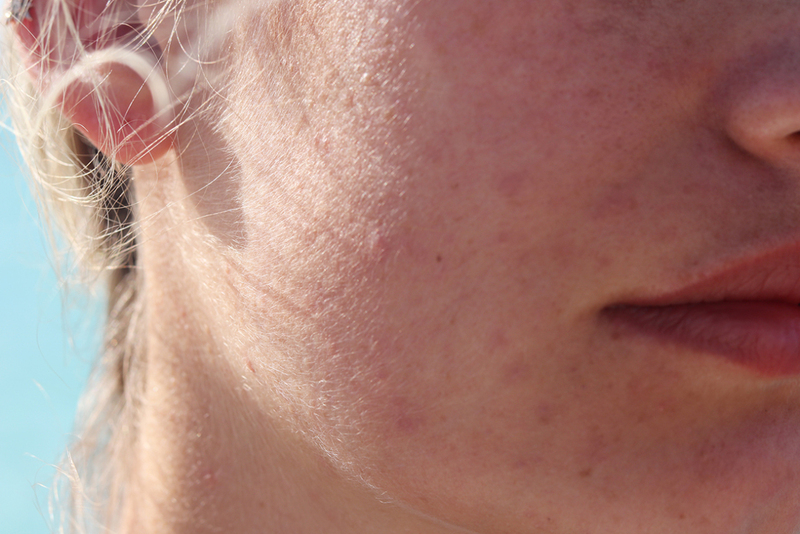 Traveling can take such a toll on your skin. It’s great to know this mask works so well at enhancing your skin. Thank you for the comprehensive review. It is right?! The bathrooms at Kandolhu Island are so gorgeous! I had a question..do the lip masks..eye mask and face mask all contain the same ingredients?